What follows is a run down of the most commonly asked questions and answers about our products. If there’s something we haven’t included then feel free to contact us. Does the Ultimate Detox cleansing drink work? Yes it does. We appreciate how important your personal privacy is and helping protect that is of paramount importance to us. The Ultimate Detox Cleansing Drink has been scientifically formulated, tested thoroughly and proven effective time and time again. We are so confident in our cleansing drink that we offer a Genuine Money Back Guarantee. Thousands of satisfied customers are proof of our unwavering commitment to providing the very best cleansing products. Why should I use Ultimate Detox instead of other cleansing products? Not all cleansing products are the same. Their performance and quality can vary enormously. If you’re looking for a product with a proven track record, then the Ultimate Detox brand is your assurance of optimum performance and reliability. When choosing a cleansing product, check to see that it is guaranteed. Even if it appears to be guaranteed, has it been independently tested? If not, ask yourself why not? Is the manufacturer fully confident in their product? Do you sell hair shampoos and urine additives? We only produce and sell products we have 100% confidence in, which is why we don’t sell hair shampoos and urine additives. We take great pride not only in our innovative products but also in our very high standards of customer service. When our customers place an order they know they can depend on us for speed and reliability – how many other internet retailers can offer such a quick turnaround on your order? Concerned about delivery of your order? We provide you with a tracking number allowing you to follow your order’s progress until it is delivered to you. Our customers know that they can contact us by mail, phone and e-mail. A query about your order – ask us. A query about the product – ask us. 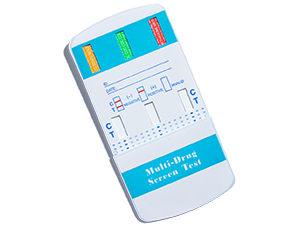 A query about drug testing – ask us. We will endeavour to respond to your enquiry quickly and accurately. How do I use the Ultimate Detox cleansing drink? For the 2 days prior to your deadline avoid toxins and drink large quantities of water. Do not eat a large meal 4 hours before drinking Ultimate Detox. Do not drink large quantities of water 2 hours before drinking Ultimate Detox. Drink only one 500ml glass of water 1 hour before drinking Ultimate Detox. Drink Ultimate Detox at least one hour before your deadline. Shake well and drink entire contents. 15 minutes later refill bottle with water and drink. Avoid food and drink until after your deadline. Yellow coloured urine is normal. Ultimate Detox is effective for up to 5 hours but is most effective for the first 2 hours. How does the Ultimate Detox cleansing drink work? Unlike many other so called detox products which simply mask substances in the urine, the Ultimate Detox cleansing drink actually eliminate toxins and creates clean urine. It is formulated with substances known to assist the body’s own natural cleansing process and just gives nature a helping hand. Are there any side-effects associated with using it? Absolutely none. The Ultimate Detox cleansing drink contains only natural ingredients which are perfectly harmless. It is classified as a dietary supplement and has no known side effects whatsoever. 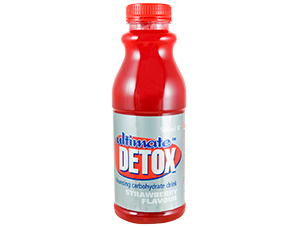 Can they tell if I have used the Ultimate Detox cleansing drink? No. The Ultimate Detox cleansing drink cannot be detected in any way whatsoever. It has been specially formulated to ensure that your urine remains within the accepted parameters for creatinine, pH, specific gravity and nitrite levels. Our product contains only natural ingredients which are safe to use and completely undetectable. Is there anything else I can do to prepare for my deadline? Try to avoid all toxins and unnecessary medications for 48 hours before your deadline. Drink at least 2 litres of water a day for several days before your deadline. Since THC and other cannabinoids are stored in the fat cells, exercise will help burn these cells. But STOP exercising at least a couple of days before your deadline as exercise increases the amount of THC in your urine. 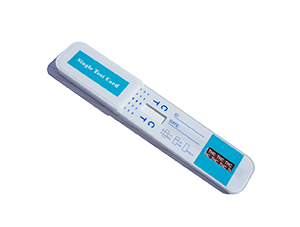 Use the third or later urine of the day and “catch” your sample mid-stream – not the first few drops that come out.